B3310LF is rated 3.8 out of 5 by 29. Rated 5 out of 5 by Ed7mm from Great Purchase Just recently bought and installed this faucet, easy install and it looks great. It operates as it should, I like the way the side sprayer mounts and operates. My wife really likes this as well. Happy wife, happy life! Rated 5 out of 5 by Jackskellington from Great all around faucet I bought this faucet about two weeks ago. 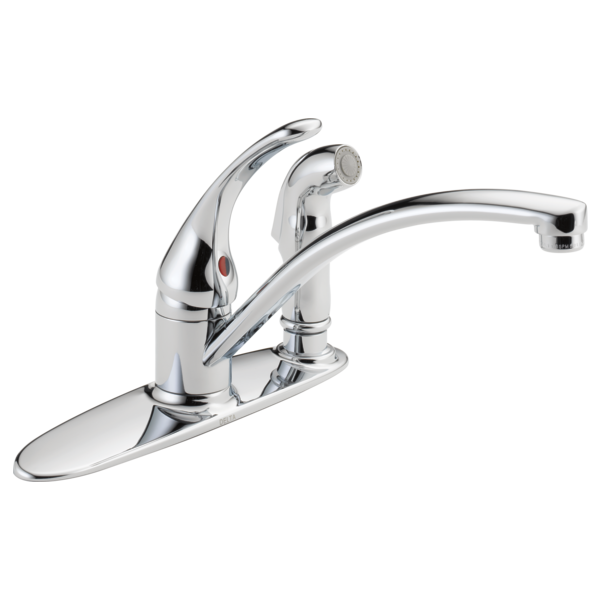 Rated 4 out of 5 by Amyk from Great features We are happy with our faucet; works great and looks great! Rated 5 out of 5 by Gloria from Love Delta Products Great product! We have many Delta products and always very happy! Rated 3 out of 5 by Eric67 from Good faucet Great faucet for the first year then the spray head started leaking and tried to replace it but could not get spray head nut off hose to pit a replacement sprayer on so I used old nut with new head but that started leaking a few months later.Now I have a new sprayer but still can't get old nut off even after removing the clip! Now the hose has a split in outer cover just below the sprayer nut. 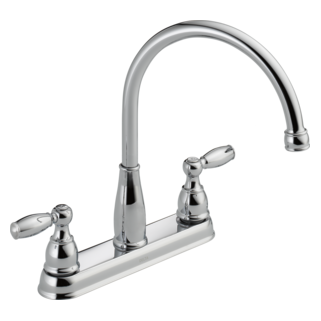 Rated 2 out of 5 by jimmys44 from This faucet was great for 6 months Bought this faucet at Home Depot and was very easy to install and worked great for about 6 months but then started thumping loudly when water is turned beyond halfway. New cartridge is over $28 and feel this is a bit much to repair a 6 month old 'quality' faucet. Always used Delta products in the past without problems. Hope to resolve this issue soon. will model B3310LF replace model 350 without any alterations? I forgot to put the hold down ring-bolt on first. How do I remove the spray hose and re-insert it? 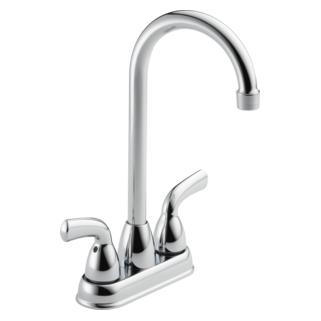 I just bought a Delta Kitchen Faucet Model B3310LF. During installing, I forgot to put the hold down ring-bolt on first. How do I remove the spray hose and re-insert it? If the clicking hose connector need be destroyed, how can I destroy it? what is the replacement part number for the spray hose? how much is it? My faucet is not leaking but really lose where the faucet articulates with the deck. How can I fix this?